As the fallout from 'Superman Reborn' clears out, we finally have a pretty clear idea of Superman's canon and continuity. This issue takes us through Superman's life and recounts all of the infamous events from Superman's history including his first meeting, engagement, and marriage with Lois Lane, his death at the hands of Doomsday, his various costumes over the years, and the birth of Jonathan. 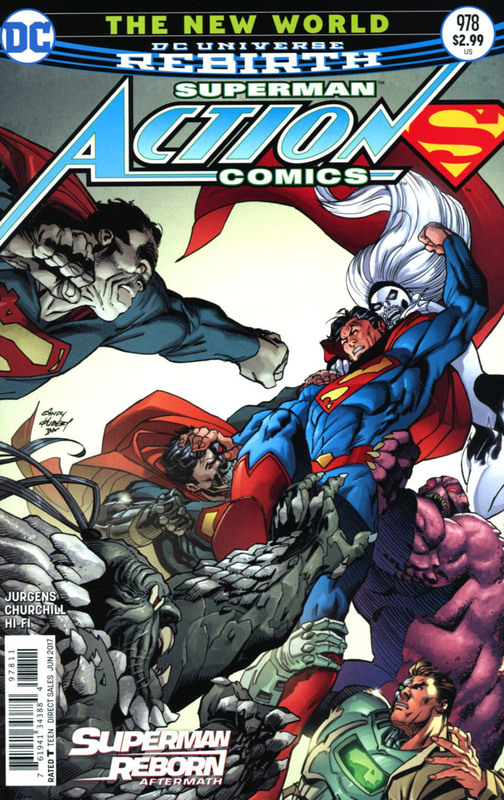 The latter also shows how the events from "Lois & Clark" are now incorporated into Superman's main continuity. While the issue doesn't break any new ground, other than the background plot of the assembly of the new Superman Revenge Squad, it does make a pretty clear line in the sand to help any long time Superman fans to sink their teeth into. For all intents and purposes, the Superman you've known and loved your whole life existed and all of the major storylines are intact; whether you liked Superman from the 90's or the New 52 era. One of my favorite things is to pick up a comic, knowing almost nothing about it, and really enjoying it. There have been a few standouts from recent years that have really stood out: Wytches, Saga, & Superior are a few. When I picked up the first issue of Being Super it was on a whim. I needed another book to let me spend a little more to get a discount at my LCS (Local Comic Shop) or something like that. I immediately couldn't believe how much I enjoyed it. Now three issues in, we already have a classic "coming of age" story that just happens to feature a super hero. It a world sometimes so obsessed with continuity that it seems to handcuff some really creative ideas, it's refreshing to see an opportunity for someone to do a fresh take on an existing character or property. There's a great dynamic between Kara and those around her: her friends, her parents, and others at school. While we've seen several origin stories for Kryptonians, this one seems to take some of the best elements of properties like "Smallville" and really finds ways to get you to relate or care for the characters. 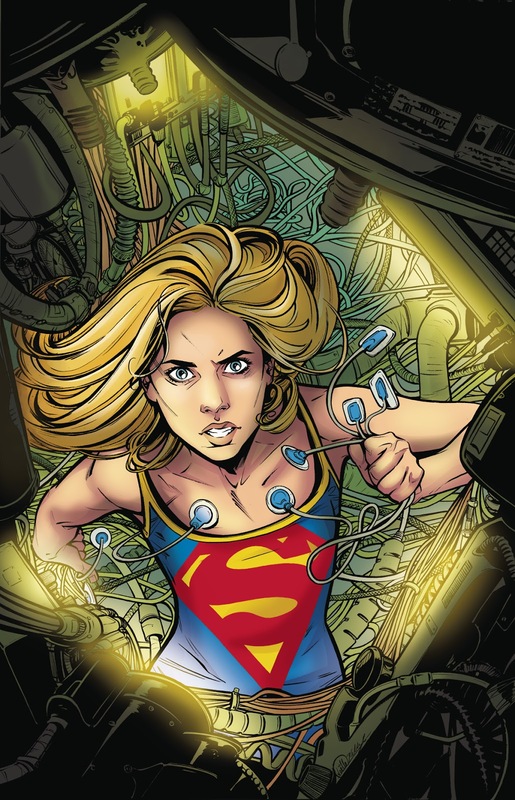 Kara is dealing with the first life lost on her watch, and you really get a sense for how powerless she feels. I can't wait to see how the last issue sticks the landing and will definitely pick up the collected edition when it drops. Ep. 064 - STAR WARS: THE LAST JEDI TRAILER & MUCH MORE!! ​​​Here it is! The teaser trailer for Star Wars: The Last Jedi! Wess will take a break in between viewings to talk all about it and a ton of other news! Also, Chad is here. I'm back! After taking a few weeks off, I'm back with a BIG week for comics. This week marks the beginning of the next chapter for DC Universe Rebirth: The Button! The 4-part Batman/Flash crossover. This week also includes the introduction to Marvel's last big event for a while: Secret Empire. Warning!! Spoilers below for Flashpoint, DC Universe: Rebirth, and this week's books! Well, I couldn't not cover this book. Since the end of DC Universe: Rebirth, we've been waiting to find out how the Watchmen characters are involved and what Batman is going to do about the Comedian's button that was left in the Batcave. Well now we start to find out. Eobard Thawne, aka Reverse Flash, shows up as Bruce is waiting for Barry to come help unravel the mystery of the button. And he's having none of it. It seems he remembers the events of Flashpoint and holds a little grudge about being killed by Thomas Wayne. While this issue doesn't give us a ton of exposition or answers to the questions we're looking for, it does serve as a nice primer to this chapter of the story. Luckily, we'll get a little piece of the puzzle each week continuing with next week's The Flash #21. It goes without saying that Jason Fabok's art is on point (as always). I also love the homage to Watchmen with the use of constant 9-panel grids. ​ Ep. 063 - GHOST IN THE SHELL REVIEW, SPIDER-MAN & THOR TRAILERS, & MORE!! ​​Chad and Wess discuss the 2017 live action release of Ghost in the Shell. Will Thanos be in the post credits of this too?